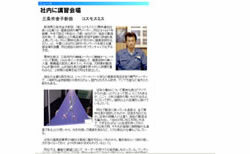 A local newspaper, Echigo Journal introduced our company in the article "Site visit to excellent makers in Sanjo"on October 25th, 2008. 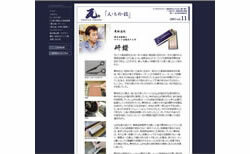 A local media, Echigo Journal's "PALGE" introduced our company in the article "Training place in company" issued on February 18th, 2004. 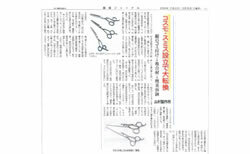 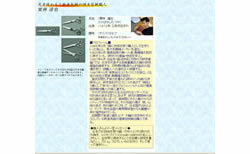 "INDUS PRESS" managed by Sanjo Industrial Cooperative introduced our company in Vol.11, the article "A craftsman in a field of making hair cutting scissors, a man who materializes his ambition" in 2003. 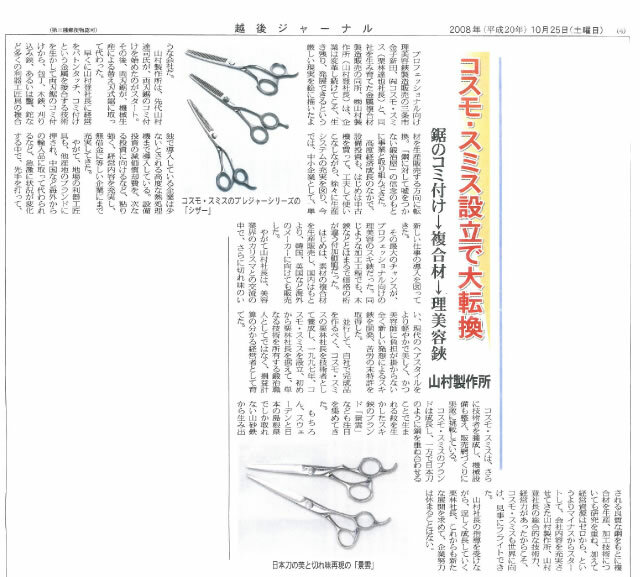 "Fellow craftsmen in Echigo blacksmith" managed by KAKURI Corporation introduced our company in 12th edition, the article "A genius emerged, up-and-coming craftsman in a field of hair cutting scissors, Tatsuya Kuribayashi".